My husband, Rich and I share our lives with our Standard Poodle Retrievers. 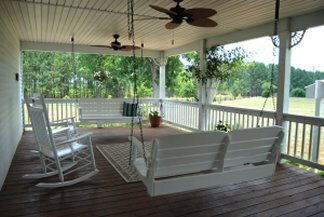 We enjoy our home built in the late 1800's, located in Moreland, Georgia, just South West of Atlanta. Our passion began nine years ago when falling in love with the Standard Poodle. We strive to produce hunting companions that will carry the retrieving desire, athletic ability, and love of people that drew us to this wonderful breed. 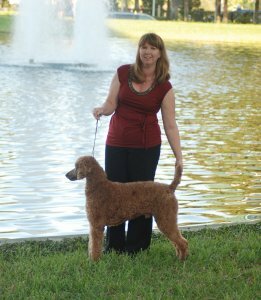 Our goal and passion has always been to preserve the Standard Poodle and breed back their desire to retrieve in and out of water. We keep active by running (AKC), (UKC), and (NAHRA) hunt tests, as well as showing some of our dogs in the conformation ring. When Rich is not training dogs, he enjoys duck hunting, Upland hunting, and Deer hunting. 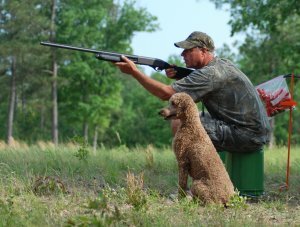 His passion is training and running Standard Poodles in hunt tests and has put more hunt test titles on Poodles than any other trainer. I enjoy traveling to conformation dog shows, The Poodle Club Of America's Nationals and supporting the field dogs at local hunt tests. Cooper was invited to the Eukanuba Dog Shows meet the breeds in Orlando, FL several times. He was incognito with his Duck Dynasty shades the last time we were there in Dec. 2013. Petco interviewed him and posted it to ours and their Facebook pages! It's always a good time educating others about Poodles and their origin. 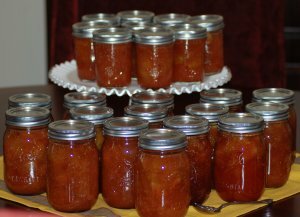 In my free time, my daughter Lexie and I enjoy antiquing, baking, gardening and making fruit preserves. My biggest passion is photography. Our farm has plenty of nut trees including 9 pecan trees and several black walnut trees. Figs are plenty in the summer as well as all the apples and pears. 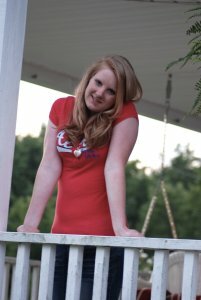 Come and visit with us sometime, you won't want to leave after you sit on the porch swing with a glass of Sweet Tea.